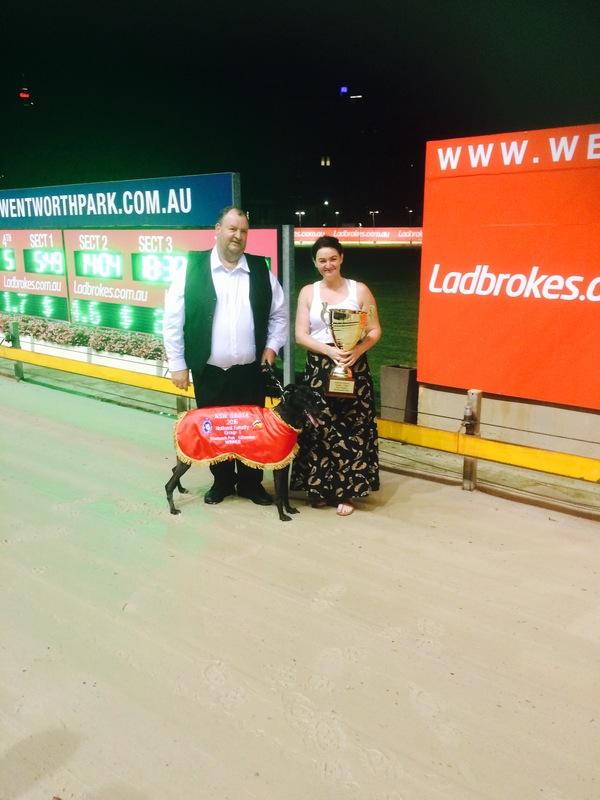 Robert Cooke and Noelene Holloway were the happiest people at Wentworth Park on Saturday night, when their respective runners, Cash In Motion and Magic Spring won their first Group 1 title. With the ladies leading the way, the Group 1 National Futurity kicked off proceedings. Victorian, Lyka Allen (box 6) speared the lids early, carving across the inside runners with Fantastic Skye (box 8) in hot pursuit. Knocking out early sections of 5.49, 18.30 the pair continued to go stride for stride throughout the race, with Lyka Allen looking the goods. It wasn't to be however, with Cash In Motion lunging on the line to win by a nose in 30.29. A thrilled Robert Cooke, was pleased as punch, sharing the victory with Northern Rivers friends and daughter Rachel trackside. Speaking after the race, Cooke said he hadn't given his runner a hope after the first turn, but when she saw her looming at the home turn he knew he was in with a shot. "I looked up at the TV (behind the boxes) on the line and I thought she has just got there, I am just so happy," Cooke said. It was then the boys turn, with a even field assembled and $5 the field in the betting. It box six again that speared the lids, with Magic Spring, with the green rug not headed in the National Derby Final. Leading all the way, Magic Spring left Nangar Flame and Diego Bale to battle it out for the placings just ahead of Pedro Cerrano. An emotional trainer, Noelene Holloway, thanked the crowd and host of friends for their support, in winning her first Group 1 title. Holloway said that the event was such a joy to win. 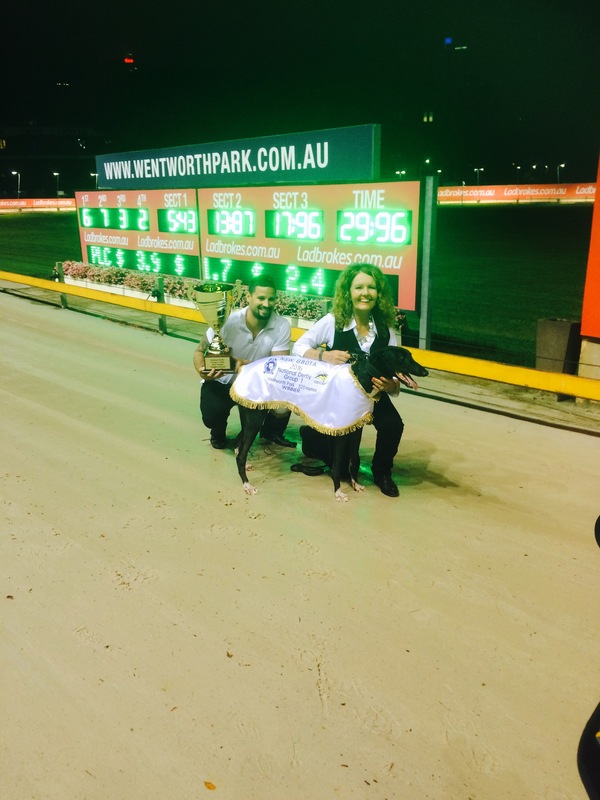 "Greyhounds come first, second and third, and I feel so blessed to have received Fascinate Marina, who has produced all my beautiful dogs," Holloway said. "Magic Spring is such a lovely boy and I am just so proud of him and happy for my parents who will be so thrilled," she added. Holloway confirmed that Magic Spring would now target the Group 1 Ladbrokes Golden Easter Egg heats on March 12, after securing a heat position. In an actioned pack night at Wentworth Park, the first of 10, Ladbrokes Golden Easter Egg preludes were conducted. For 4/5th grade greyhounds, Zipping Jet and Good Odds Regina took out their respective preludes, thus cementing a heat place in the Group 1 $250,000 to the winner series on March 12. 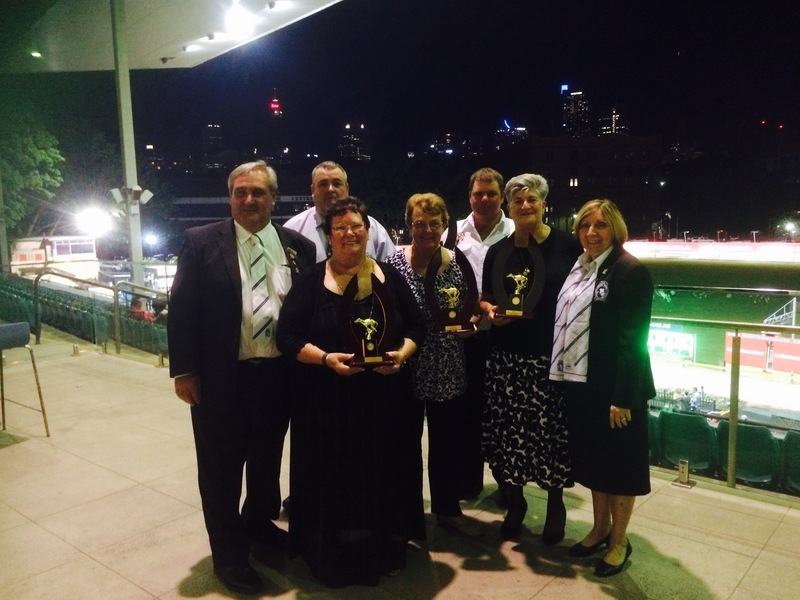 The night also saw NSW GBOTA members recognised, with the presentation of the 2015 Members Greyhound of the Year awards.